and, finally, to $(p^2-3q)^2(p^2+6q)\ge 0,\;$ which is true. I have borrowed the problem from the Imad Zak facebook group where it was posted by Dan Sitaru and commented on with the above proof by Diego Alvariz. 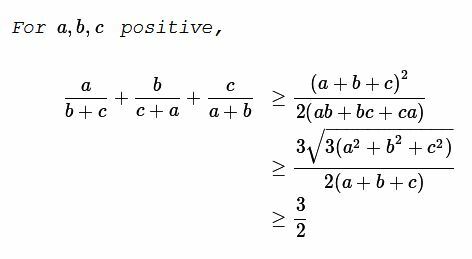 With an additional proof (by Leo Giugiuc) the result has been published in Romanian Mathematical Magazine.